This Ultimate Scarab knife is a recent acquisition from a collector. The knife is in excellent condition with very light marks on the pocket clip and slight wear on the back handle edges and side (call with any questions). Comes with the original box and Maxpedition pouch. The action, lock-up and quality on this knife is all top-notch, a great collector's piece or a very daring person's prized EDC! 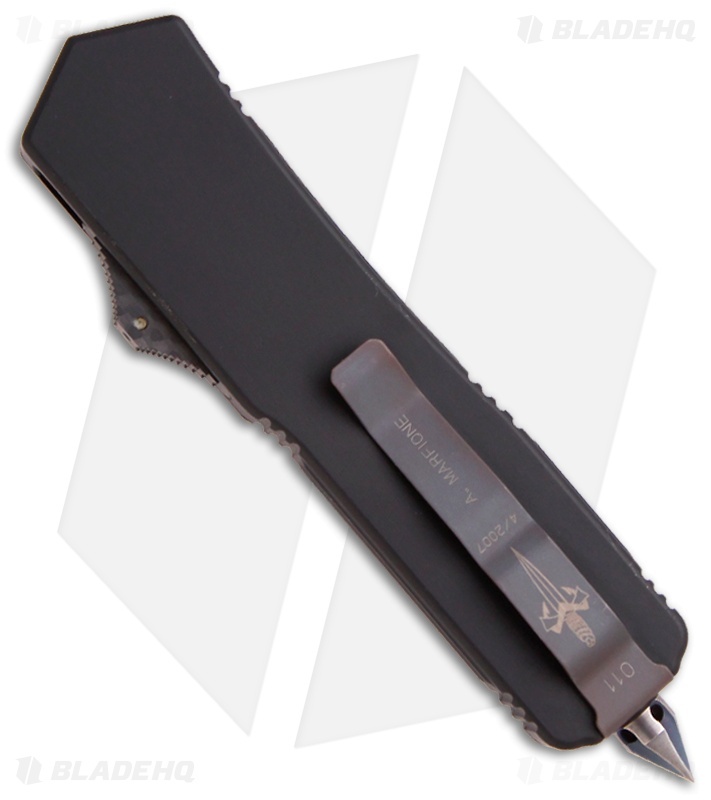 This Custom Microtech Scarab is a stunning knife that features a hand ground double-edged mirror finished D2 steel blade. The handle is black anodized T-6 aluminum on the bottom and solid carbon fiber on top. This Scarab also has a carbon fiber slide button with a tritium insert to illuminate the firing button, so you know where to put your thumb even in pitch blackness. The hardware and glass breaker tip are blued titanium. The pocket clip features serial number #011, with born date 4/2007 and "A. Marfione". 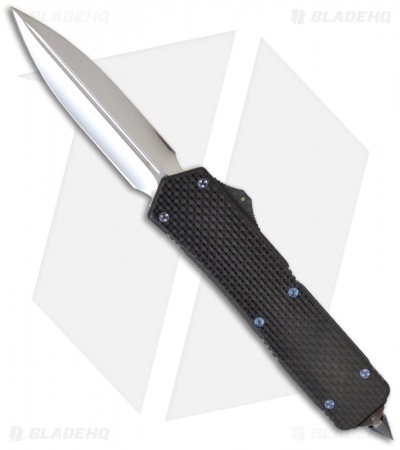 This limited edition knife comes with a deluxe Cordura case. Payment plans are available for this item. Please contact us for details.